Details: Embroidered Club badge and Nike logo. Sponsor and player details printed. Description: Excellent Condition! Sponsor Cracking. 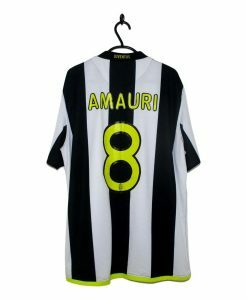 The 2008-09 Juventus Home Shirt Amauri made by Nike is made up of black and white vertical stripes. The trim on the cuffs is coloured yellow as is the detail at the bottom of the collar. 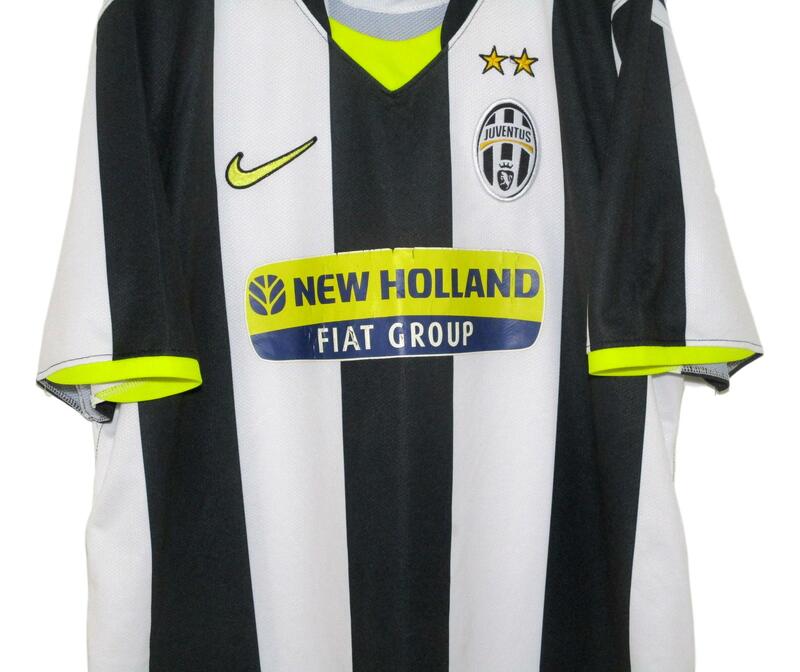 A yellow Nike Swoosh is placed on the right breast with the Juventus badge on the left breast. New Holland Fiat Group have their logo in the centre of the football shirt.